Preservation Treatments are proud to announce that we have once again successfully renewed our Constructionline membership. 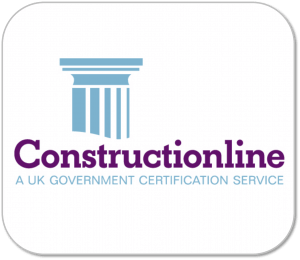 Constructionline is the UK’s largest register of contractors, consultants and material suppliers for the construction industry. It is testament to how seriously we take our responsibility to operate effectively and follow Health and Safety procedures that we have once again been able to conform to the strict regulations necessary to renew this membership. In order to become a verified member, a company’s ability to operate effectively is assessed by Constructionline. This is done by evaluating their financial status, health and safety processes and their operational record. Founded in 1998, Constructionline is a scheme run by the government to collect, assess and monitor company information. As well as being the largest pre-qualification database in the UK it is also the country’s leading procurement and supply chain management service. Constructionline is used by larger companies such as the NHS and Housing Associations, as well as by small companies. The larger companies use the database to source contractors and consultants and there are currently over 8,000 procurement professionals and 2,500 buying organisations using the Constructionline system. Smaller companies use Constructionline to demonstrate that they fit the necessary criteria to be a reliable contractor and to find projects that they may wish to submit a tender for. Why is it Beneficial to Use a Constructionline Accredited Company? Rather than take a company at their word you are safe in the knowledge that they have passed stringent checks from a Government run scheme. One of the biggest benefits of using a Constructionline Accredited Company is that the company has had to physically evidence that they can carry out work safely and that they insured in the event that something does go wrong.